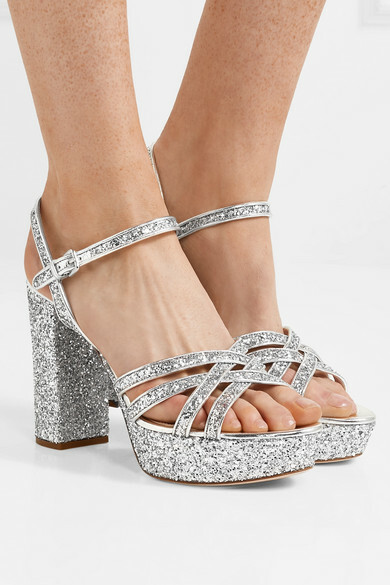 Platform sandals are one of Miu Miu's signatures, and we love this sparkling pair from the Spring '19 collection. 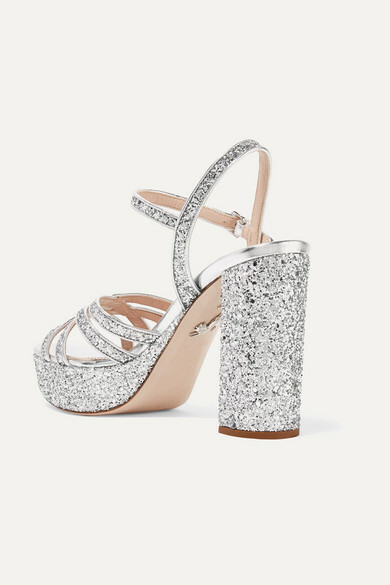 They've been made in Italy from leather drenched in glitter and have slender crisscross straps. 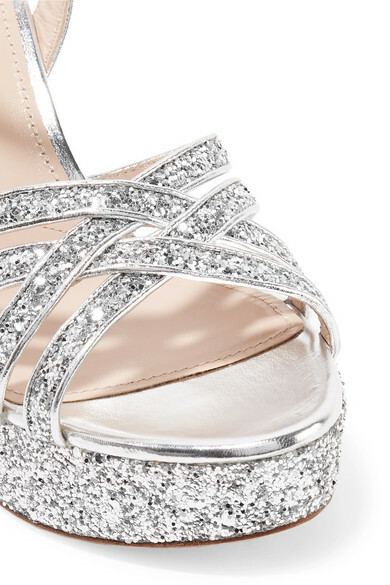 Wear them with everything from mini dresses to cropped jeans. Shown here with: Miu Miu Dress, L'AFSHAR Shoulder bag, Sophie Buhai Earrings.